"Finally an in-depth biography of one of the greatest blues musicians ever. The clearing up of the myths and mysteries is a relief. The work of the authors is meticulous. 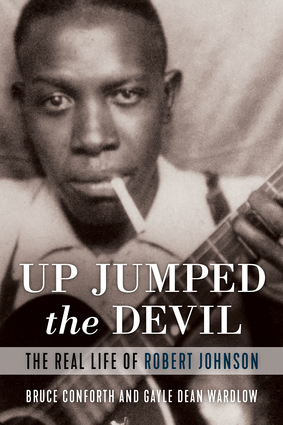 They detail Robert Johnson's journey with facts, creating a full view of his life and times, his friends and influences, so the reader has a comprehensive understanding of how he came to be the greatest of the Delta bluesmen. I am blown away!" --John Hammond, Jr.
Bruce Conforth was a longtime professor of folklore, blues, popular culture and the history of social movements at the University of Michigan. He was also the founding curator of the Rock and Roll Hall of Fame. He lives in Ann Arbor, Michigan. Gayle Dean Wardlow is a highly regarded blues historian who has amassed the world's largest collection of prewar blues records. His book Chasin' That Devil Music is a classic of blues literature. He lives in Pensacola, Florida.